Interview with Andrea Fagiuoli, the bass player of the Italian Rock band, Ravenscry. Hi, I’m good. Thank you very much for this interview. Tell me a few words when was Ravenscry formed? 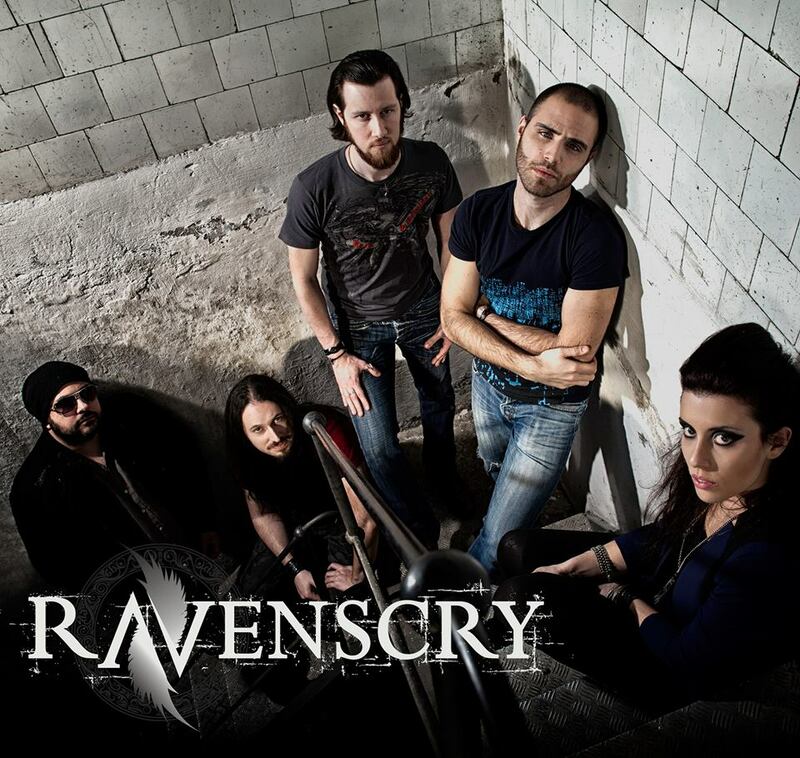 Ravenscry was formed in 2008 by Paul, Simon and me, then Mauro and Giulia joined almost immediately. We wanted to create something unique with her voice and our instruments playin heavy parts. The last release of the band was in 2014 entitled ”The Attractions Of Opposites”. Tell me about it. It’s an album who talks about different aspects of live and each one from the opposite point of view. It was recorded in our studio (Ravenstudio), mixed by Roberto Laghi (In Flames) and mastered by Dragan Tanaskovic (In Flames). Have you got nice reviews about the album? Actually we only had positive reviews of the album, I think that the worst vote we got was a 7.5 out of 10 or something like this. Do you have two other releases. Tell me some things about them. ”One Way Out” was our first album, it was released in 2011 and it was the result of many years of work behind the scenes, ”Acoustic Parenthesis of a Dreamstate” is just a gift we wanted to give to our fans, it contains 4 songs in acoustic version taken from our first full length. What are the influences and what are the lyrical themes? We have a lot of influences and everyone of us come from a different kind of music, from Fear Factory to electronic music like David Guetta, from classical to pop, nothing is left out.Lyrics are strictly related to the content of the song, we always try to be as much various as we can. Who usually writes the music? Everyone in the band writes the music, usually someone comes up with an idea and then everyone works together to get a song out of it. We have one show in Germany in Autumn Moon Festival confirmed at the moment, it will be on October 31st. Do you have a message for Ravenscry fans? Yes of course! We want to thank you very much for all the support you are giving us and be ready for some big news coming up in the next months! Thank you Andrea for your time, cheers! Thanks to you! Stay Raven!